Learn how to properly throw a trail check, then watch today’s top video and read how each NCAA Men’s DI conference compares heading into conference tournaments. 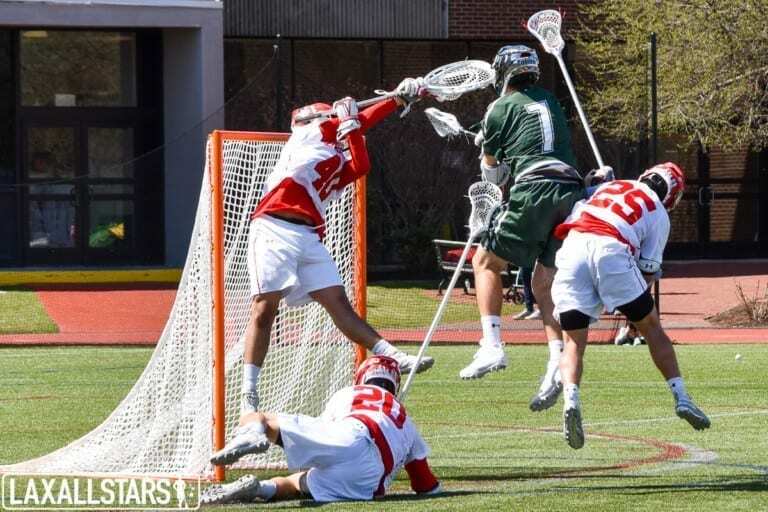 The details: Videographer Matt Gowdy and his brother Greg have been filming lacrosse in the Virginia – Maryland area for the last few years, focusing on the Southern Virginia University Men’s Lacrosse team. SVU midfielder Deen Anderson took the feed from attackman Shawn Lamb and buried it, as the shot deflected off of his defenders helmet. The bottom line: There’s nothing better than the perfect angle of a good solid snipe to the top-right corner of the goal. The details: Ryan Conwell gives us the lay of the land in another edition of our Conference Comparison. This time, we’re looking ahead to how the conference tournaments will shake out as well. Bottom line: Stay up to date on your favorite conference standings. 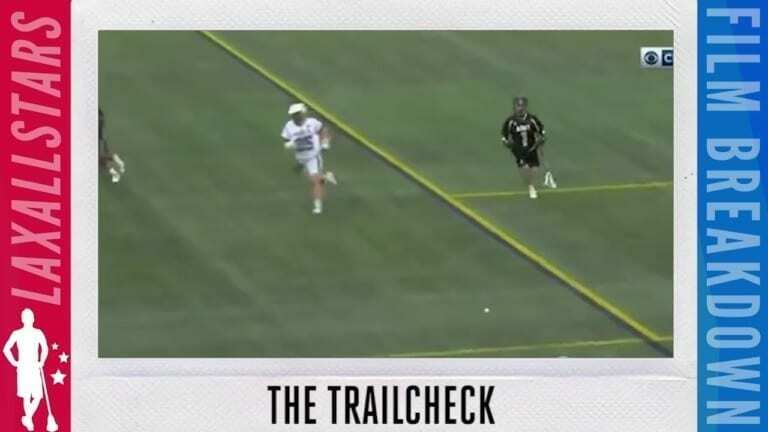 The details: LAS Contributor Nick Zoroya, former film coordinator at the University of Michigan, has another lesson in today’s Film Breakdown on how to properly execute a trail check. The bottom line: Check back every weekday for a new installment. The details: We’re excited to announce a new deal with our friends at Powell Lacrosse. 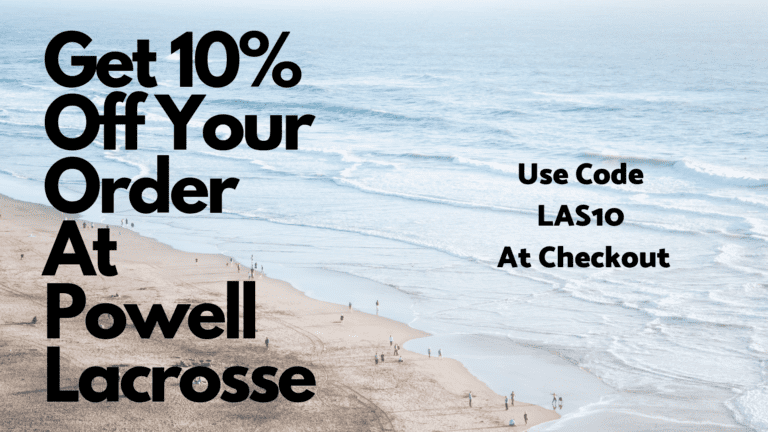 Take 10% off of Powell’s entire website using the code LAS10 at checkout. 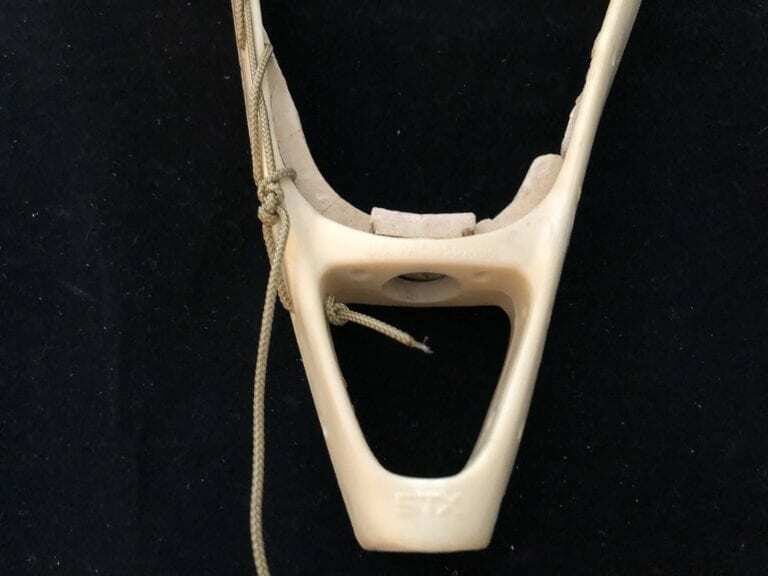 This week we’re going old — I’m stringing up a vintage lacrosse head. That’s right, the STX Barney. Let’s take a quick recap of the Barney. This head was released in the late 1970s and was off the market by 1983 (or around that time). This was primarily a defensive head where the SAM was geared towards the offensive player. Even by today’s ‘D’ head standards, this sucker if beefy. As with all vintage heads, they are a challenge to string. These heads have tiny leather holes, very little sidewall holes, and are now brittle. 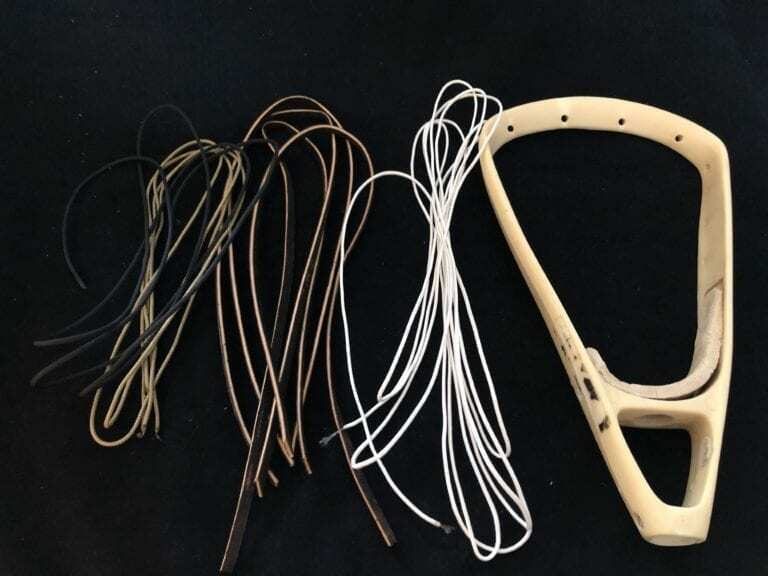 You need to treat any stringing of these vintage heads like you would stringing a vintage wooden stick. 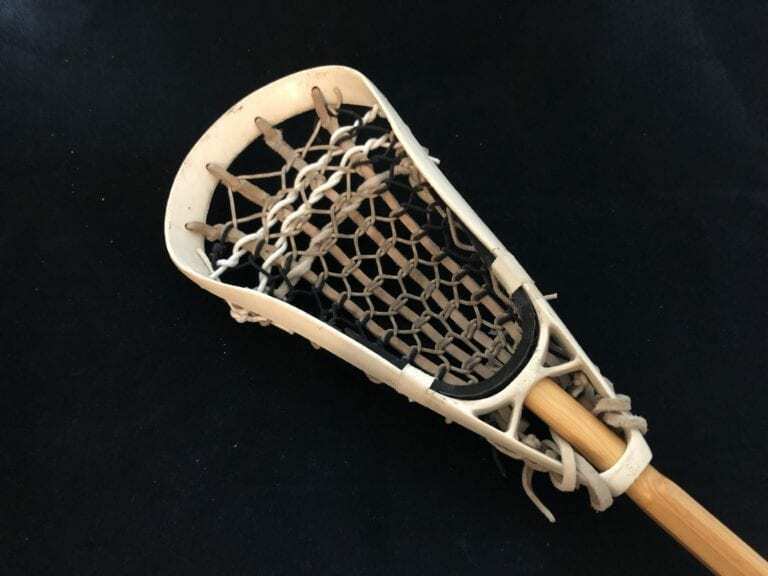 This vintage lacrosse head was a unique find by Ryan aka @vintagelaxbrand for several reasons. One, it’s white, I cannot recall ever seeing ones of these. Red and blue were the only colors I’ve seen in the past. Two, it’s still has most of the original ball stop intact. Three, other than a few stress cracks (slight discoloration of the head but no true crack) this head is in phenomenal shape. I think Ryan heard the scream of “dibs” in New York when I first saw this. 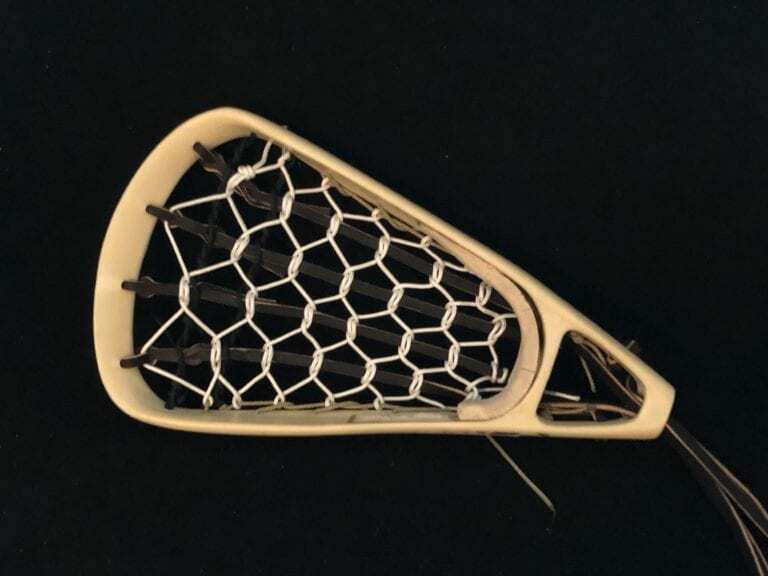 Now, here comes the challenge of stringing this vintage lacrosse head up. I am going to keep as close to the original style as possible. Luckily I’ve got a good buddy in Spencer (@coach_laxrat) that has two strung and the he played with back in the day. I’m planning on using those and my own SAM as the template. I am stringing this for display only. What does that mean? Good question, I am stringing this flat and not building out a pocket in it. 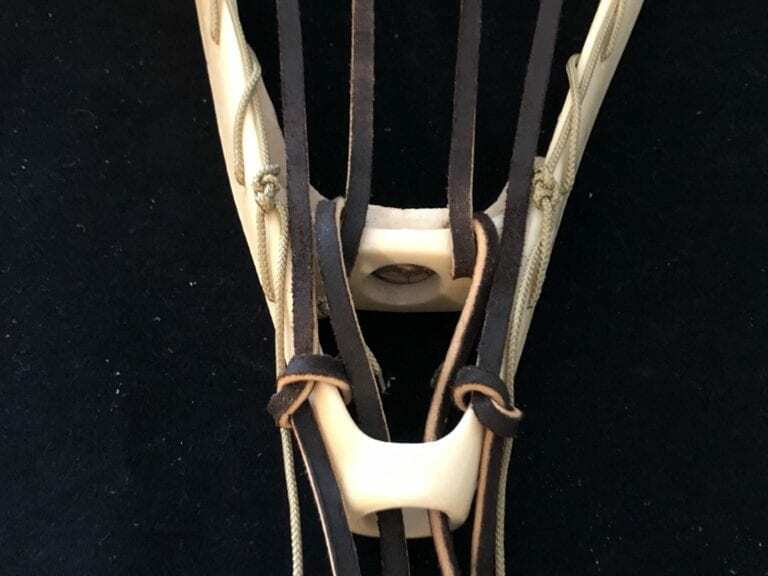 A vintage lacrosse head this unique should never be used. Stringing for display means it can be hung on a wall or even on a mount. You want these to lay flat. Sidewall – This is truly the vintage way to do it. With so few sidewall holes, you had a floating sidewall section and the rest of the sidewall connects it to the holes. Make sure to leave the top sidewall hole open. Gopher Tip– If you ever string one of these (or the SAM, 73, 74, etc.) start from the bottom of the head and run the sidewall up. It’s easier than trying to tie off at the bottom. Leathers – You’ll need to stretch and thing these out a bit. Like I wrote above, the holes are smaller and I’ve cracked heads trying to force the leather through. 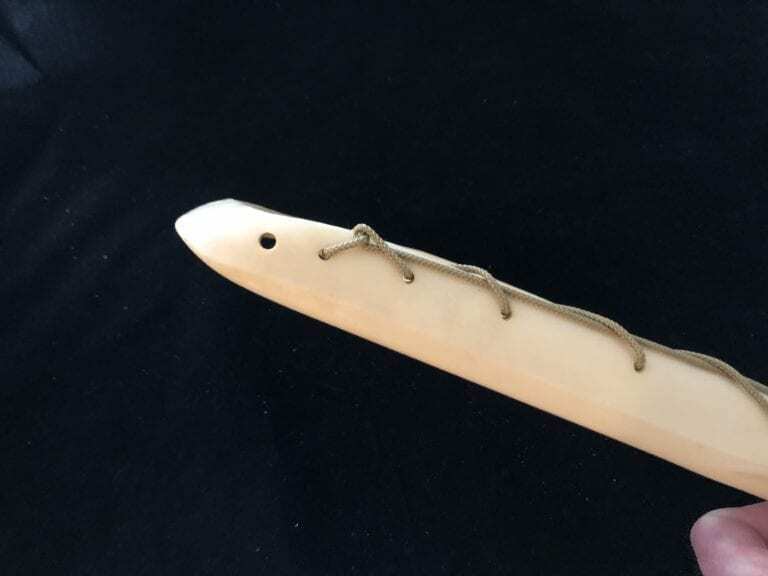 With only two throat slots for the leathers, I am running the middle two there and tie off around the throat. The outer two leathers will run to the bottom sidewall holes. Gopher Tip– Easiest way to thin out a leather is to take a cracked head (or one you don’t mind cracking) and run the leathers through one of the larger sidewall holes, do this until it’s the correct width to easily use in the vintage head. Plus, this will slightly age the leathers making it look closer to the age of the head. Crosslace – I’m doing a six-diamond single string on this one. Pretty straight forward except the starting point. Since I cannot run the crosslace from the sidewall, I am going to leave 3-to-4 inches of excess tie off to the outside of that leather. The excess is if you need to make a later correction. Otherwise trim and burn at the end. String down until you get to the bottom of the head (the 6th diamond) and do a Pipo knot. I know that’s not proper name but Phil uses this tie off and I’m coining it “Pipo Knot.” If you’ve never tried one, here is the link. Work your way up and down the pocket just like we did in the six-diamond tutorial. 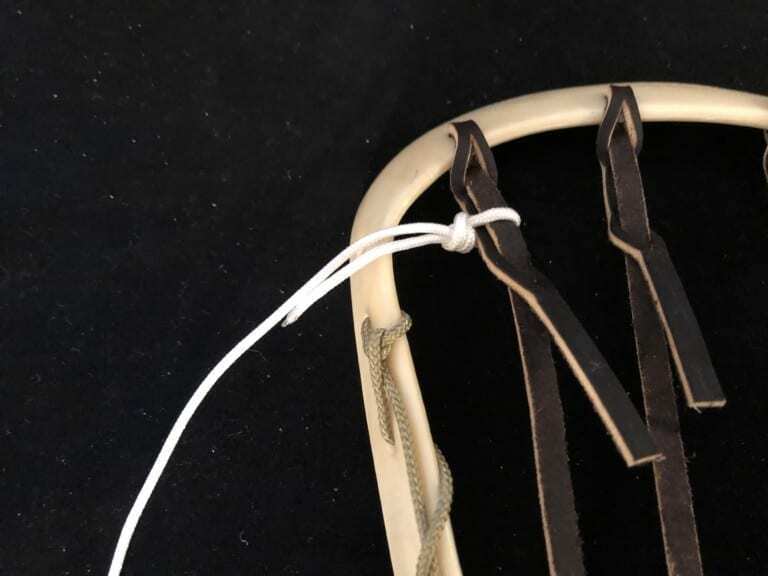 Instead of running the last piece of crosslace through the sidewall of the Barney, just tie off to the last leather. Shooters – There is only one way to do these shooters. One string and rolled. There are no other options, we’re going vintage today… embrace it. Here’s how I do it: First, find the midpoint of your shooter and tie a knot. Feed the sidewall through the top sidewall hole (which is why we left it open) and run to the other sidewall and start rolling. Hopefully this section of videos will make that clear. Untie the knot run it through the top sidewall knot and across. 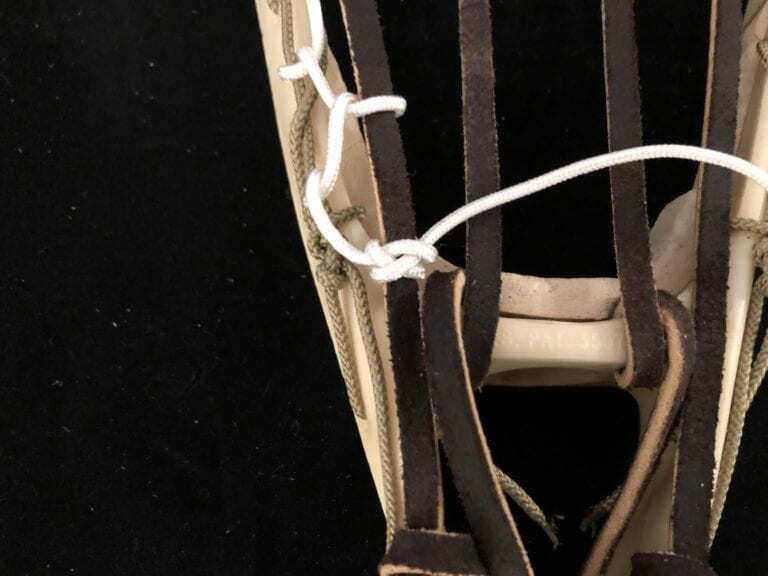 From here, we are going to do the same process making sure to connect the shooter to the sidewall and not through the sidewall hole (since there is not enough space). Bring it back and loop around sidewall and tie off. From here, fix all tension issues and clean up any excess sidewall, crosslace, and shooters. Now display the Barney proudly!